So what goes into making a great cupcake? Well I only use free range eggs, no preservatives and only the finest ingredients I can find to ensure that you get the finest cupcake money can buy. This means that you get not only a great looking cupcake but one that tastes perfect. I like a challenge too, if you are in the market for a more bespoke cupcake I can cater for that also. Individual cupcakes made exactly to your specific requirements are no problem, just tell me what you need. That goes for the corporate cupcake market too, I can produce cupcakes to reflect your company brand, corporate event or meeting that you are planning for. I have produced cakes for large corporate events right down to small family businesses so can cater for just about anything. 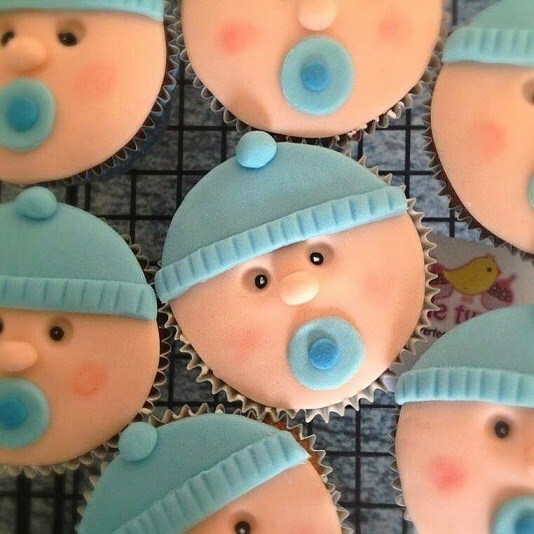 My bespoke cupcakes are designed after consultation with you and can be traditional, elegant or novelty and will perfectly compliment your celebration and theme. Whatever you have in mind I can do. Get your ideas to me and I will bake and decorate a cupcake exactly as you imagined it, unique to you, no one else. All my cakes are baked fresh and only to order and I can deliver locally or you can collect when ready. So if you are looking for ‘Cupcakes in Manchester’ why not chance your arm and give me a try! In the cupcake gallery below you will find a selection of cakes which hopefully will serve to give you some ideas. You can take any of them ‘as is’ or if you want them modifying to suit exactly your occasion just contact me here and lets talk.